Video : Altenew February 2018 Release Blog Hop & Giveaway! YAY! 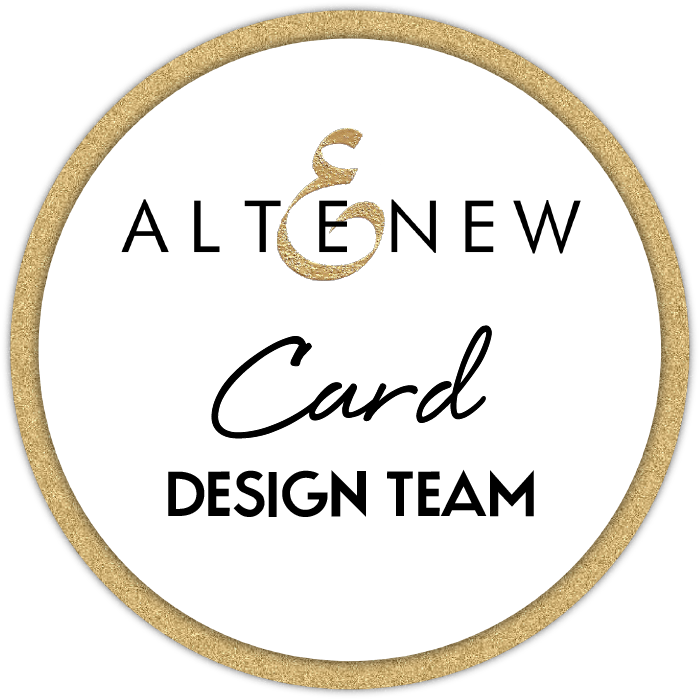 It’s time to release some fantastic new goodies for Altenew (and if you were watching, you may have seen some sneaky peeks at Creativation…) To celebrate we are hopping along and you should have arrived here from VICKI’s wonderful Blog. Scroll down to see my video and to find out how to win! Today I have three cards and one video to share with you…. Starting with this glorious Birds of a Feather layering bird set and coordinating dies, you can stamp these beauties in any colour combo you want! I used the Create a Wreath die set to frame my bird and white heat embossed a little sentiment from the Sweet Friend stamp set. I also added some Happy Blooms which I coloured simply with Artist Markers. My final card has a video linked below showing how I added some simple shading to these beautiful flowers from the mini stamp set called With Sympathy. I love that this mini set has a coordinating die set! The sentiment is ‘classic Altenew’ and came from the new Crafty Life stamp set. To celebrate this release, Altenew is giving away a $50 gift certificate to SIX lucky winners! Please leave a comment on the Altenew Card Blog and/or Altenew Scrapbook Blog by Wednesday, February 14th for a chance to win. Six winners will be announced on the Altenew blogs on 16th February 2018. Also I will randomly choose a winner from the comments left on this post (only one comment per person) to win a $30 gift certificate to the Altenew online store, you have until midnight Wednesday February 14th (AEST) and I will announce the winner here on Thursday February 15th. From here you are heading to REIKO’s awesome blog, there is so much inspiration along the way, so if you missed anything don’t forget you can start at the beginning CLICK HERE. Sweet Friend – Other Supplies: Artist Markers – Y205 / G702 / WG01 / R206,823. Scraps of Green Cardstock. Biggest Hug – Other Supplies: R318 / R823 / Y204. Love – Other Supplies: Prismacolor Pencils – Sap Green Light / Pale Vermilion / Salmon Pink. < Previous Video : Colour with ‘U’ – Neat & Tangled Cloud Shaker! Next > Video : Simple Multi-Coloured Die-Cuts – WFC! I love this card! So elegant in it’s simplicity! Thanks for the tutorial with the colored pencils also, another wonderful idea for our colored pencils and a way to take all those beautiful altenew floral stamps to a new level. Just like walking through an artist’s gallery today, Therese! Your bird? I’m wondering if your inspiration was perched outside your own window? The most beautiful of the Altenew bird kingdom! I really like this technique. Great way to use inks and pencils and the look is really pretty. Thank you, Therese! Love your creations. Love hearing your voice. Lots of love to you!! Great cards and fabulous colours! Stunning cards as always♥ What was the name of the sharpener that you use for your Prisma pencils? T’Gaal sharpener. Best I’ve ever used, too, especially on PrismaColor pencils. I love Altenew products, and when a stamp set has matching dies … awesome and so time saving! Your cards are lovely and in your video you make shading look so easy, I would have a hot mess 🙂 Thanks for the inspiration. Thanks for the inspiration! Every release is a “got to have”. Lovely cards! I especially love the color blending behind the bird! Like Buttah as Laura Bassen would say, lol. Love this technique. Definitely going to give it a try. Gorgeous cards, Therese! Thanks so much for another great video tutorial…I always enjoy them! Beautiful work, as always! Loved the video too. Thanks for the video. Love seeing them. The mini With Sympathy stamp set is pretty & I think all of your cards are wonderful! I can’t even say I have a favorite from your cards because I like them all! The colors, the design… it’s all fantastic. Always love your cards and your style. So versatile! I wasn’t sure about the triangles, but after seeing your use of them, I am in love! Great cards! I am struck by the amazing blending behind the bird. It’s so simple and so pretty. I’m going to have to hijack this idea. Thanks for the inspiration! 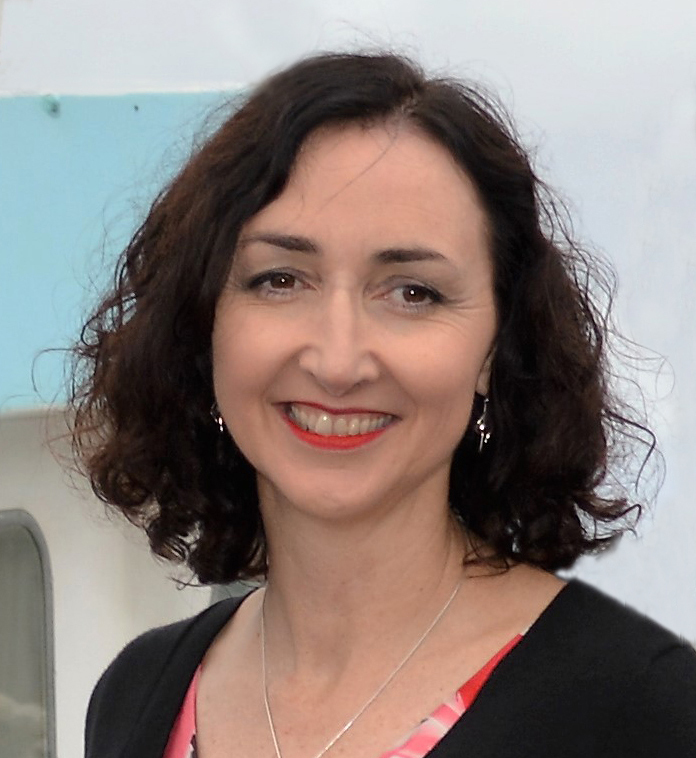 Love the new releases Therese, thank you for this wonderful video and the chance to win. As usual, Therese…simple and elegant ! I always enjoy your videos and I love your style. Beautiful cards! The new ink colours you used are very pretty. Thanks for sharing your shading technique with us. great cards. I love the colorful flowers on the black triangle background. Love your cards and your sense of style. Thanks for sharing. Adorable cards! I especially love the softly colored bird card! Awesome new products! WOW – the b & w geometric background for your floral bouquet is fantastic!!! Such beautiful cards! That bird card is amazing and I love the color! Your cards are stunning, Therese! What a great collection to show off Altenew’s new release! Love the new ink colors. Thanks for the video and the helpful tips on adding color pencil to solid stamped images! your cards are beautiful especially the bird card. Very colorful and creative. A great new release. Thank you for the inspiration! Gorgeous gorgeous cards!!! Love the beautiful flowers on the black and white geometric background! They are all very pretty! Thanks for sharing! That blended background on the bird card is absolutely gorgeous!! LOVE your cards, Therese! Thanks for showing how to use colored pencils to add detail to the flowers. I was in awe as I saw each one of these. A wonderful job! Your videos inspire me greatly! Your cards are excellent. I love, love your bird card and the flower……I have no words to express my appreciation. Thank you. Love the stunning bird card. Thanks for the video on how to shade with colored pencils. Will need to try this. I love the new Trigonometry stamp set and pairing it with those bright, beautiful flowers is just perfect! All three cards are simply fabulous. What a lovely variety of cards and different styles! Great examples—I love the sentiments in this release. Gorgeous designs. Love the colors!!! I love your bird card! Great release! Love this release there are some gorgeous stamps and ink pads. The flower card with the coloured pencil is amazing. Di. Oh I just love these pretty flowers. Stunning! I love how you shaded the roses with colored pencils. They are beautiful. What a terrific idea! Love your bold graphic style background using the new Trigonometry stamp set. My favorite set in this release. Gorgeous cards! These are all beautiful. Just a fantastic release as always and you have done an amazing job of showcasing them to their best. I would find it hard to pick a favourite though as they are all gorgeous, but the colouring behind the bird is stunning. You had me at the black and white triangles! LOVE all the cards! What a great post full of inspiration. Love your cards. The bird is beautiful and such a creative design. Your cards are amazing ! I specially love the card with the bird, it’s adorable. Love that bird! Beautiful coloring on all the cards. Gorgeous cards! I’m always in ‘awe’ of your creations. Love your videos as well, very informative. Love the bird card, your background is fabulous! Lovely cards! Thanks for showing the great variety of this new Altenew release. Lovely effect from the coloured pencils, I never have that sort of luck! Gorgeous cards – love the colors. Wow, these are all great, couldn’t wait to get to your post on the list, knew that I would love your cards! I love all these beautiful cards but my favorite is the one where you used the colored pencils to shade the flowers, awesome! Thank you for all the inspiration and I love your videos. What beautiful color you achieved behind the bird!! Such a pretty card, and a great technique for adding some extra dimension to solid coloured flowers. Love the new ink colours as well. I have a really nice set of colored pencils which I rarely use. Thanks for the lovely inspiration to use my supplies. The new release is amazing. I always enjoy seeing your videos. Beautiful cards, love the new ink color combos and thanks for another awesome video tutorial! Love the new inks for sure and a few of the stamps are definitely on my wish list. Your two cards are stunning. THose bold colors and shapes play nicely off one another. Your second card is just yummy and lush. Lovely cards. I love the shaded oval behind the bird. Those ink colours are wonderful! I love the way you used the trigonometry set. I love it paired with the flowers. Thanks for showing us such great uses for these new products. I love the new release and new inks! I never know which color to use, this es helpful! Love your cards! So much inspiration Thanks a lot! Beautiful cards! Thanks so much for the video on shading with colored pencils. The look is lovely and you made it look so easy! Going to buy this little stamp set and try it out. Awesome cards. Bird card is so pretty, love the background. Thanks for such a great video. Really pretty cards! I like the geometric background with the bright flowers. I ,look forward everyday to your posts and videos. Love the love card. Thanks for all your inspiration over all the months and months that I’ve followed you. You rock! Beautiful cards…love the bright colors! You Birds of a Feather card is stunning! Thanks for sharing your talent with us. These new products from Altenew are awesome! Your garden inspiration (birds) must have helped in your bird color choices! Love your designs! All of your cards are great, but I love the first one the most. The blended background is perfect for the stamped bird! Absolutely perfect! amazing color pop on the bird card – beautiful! These are all so beautiful!! Love the colors on the bird card! All those cards beautiful, but the one with the bird. WOW WOW WOW! WOW! This card is stunning! Lovely cards from the new Altenew release. Enjoyed your video on shading your stamped image with colored pencils. Awesome! Love how you used the triangles for the background of a flower card. Different and beautiful. Beautiful cards Therese! The bird card is definitely my favourite. Such beautiful cards 🙂 Love this release from Altenew. Such beautiful cards!!!! Love this release!!!!! What lovely cards. I have do not have any altenew stamps, but yiu make them look wonderful. Stunning cards! I love how you used the new release! The background behind the bird is awesome. Love your colours. The triangle background is cool too! Beautiful cards. I glad you did one of the cards using colored pencils. Thanks for sharing and also a chance to win. Beautiful cards ! The bird card is my favorite. The colors used on the background together are striking! Gorgeous projects. I always enjoy watching your coloring process — so inspiring. Great designs and color combos. Love love love the colors with the black n white. Oooh lala. Me love! Great job…they are all gorgeous! I absolutely adore the bird card design, so gorgeous! These are all stunning! Your use of color just makes them pop off the page. Thank you for sharing! What an amazing release. What a great technique to color over a stamped image. Beautiful cards! I absolutely love the sewn with love stamp and die. This is a great release! There are some great new stamps in this new release. I love your bird card. Beautiful set of cards. I love how you used the trigonometry set and placed the flowers on it. Love the black & white background… thanks for sharing! I love the background of the bird card ! And the triangle shapes background totally makes the flowers stand out ! Thanks for the inspiration ! These cards are stunning! I love the colors you used on your bird (and its background). Love the graphic black and white background with the bright flowers, and am nearly drooling over your last card – the pencil additions are superb!! These are beautiful, Therese! Love them! As always great cards, besutiful use of colours, I love them all! Stunning! Love the design, colors used to creative this Beautiful Work of Art. Well Done! Wow!!! These are incredible, but the bird is my favorite!! Absolutely beautiful cards Therese. I love the bird card, very elegant. Love the contrast between the triangles and the flowers. Great idea. Lovely card, great video, fabulous release again. The birds stamp set is fast becoming my favorite of the release along with the ornamental flowers. The wish list grows. Your bird card is gorgeous, love the blended background! Such pretty cards! I love the inking in the oval opening behind the bird, just perfect, and that last card, so soft and lovely! Your cards are so adorable and have a soft look to them. Liked all three cards, especially how you used the triangle stamps with the flowers, very unique. Fabulous colors on your beautiful cards! The card with the sweet bird is amazing… gorgeous! Fantastic cards! The bird is so pretty in the colors you chose! I really appreciate the highlighting and blending tips with the colored pencils. It added so much dimension to your finished card – beautiful! Just love all the cards. The stamp and new inks that you’ve used are amazing. Thanks so much for all this loveliness. Three amazing cards, Therese! I love that sweet bird and the colors you’ve used! Your pencil shading on the flowers gives them so much depth! Great new release! Your cards are gorgeous, Therese! All so very different, but showcasing the new release so well. Thanks for sharing your highlight colouring hints! Gorgeous. I can’t wait to try that technique. Thank you for sharing. I love how your brought the bird to life. Thanks for the video on coloring. Need to try it. I am so glad you chose to do this in this way! I have this tendency to forget that my pencils are an option—Duh!!! And thanks too for the tip about the sharpener. (I am pretty sure I heard it from you.) I got mine just in time for my new pencils I got for Christmas and I love it! So…double thanks to you today. Your cards are wonderful. I am in love with your floral card with the triangles. It is so cool! Thx for your tip on colored pencil shading, as I’ve not tried it yet! All your cards are wonderful as usual, Therese. I love the use of Spicy Yogurt paper as a panel for the flowers and the pencil coloring added so much realism. Your card designs are always beautiful, Therese, love them all. Great job with this new release! Therese, your cards are so lovely. Thanks for sharing them and the video for pencil coloring. What a fun mix of cards you’ve made. I saw the floral one on youtube, and I love the pencil additions to add that extra oomph to the image. But I really enjoy your other cards as well. The trig black and white background sets off those bright florals in such a fun way. I think I might need to try that sometime. Thanks so much for sharing your talent and creativity with us! Absolutely gorgeous creations! Your card has sold me on the Trig set! Wasn’t sure before but that awesome card really sold me! WOW. Love the softness of the last card but also love the bold colours and background of the second card. Great job show casing. Beautiful cards! I haven’t done much with colored pencils in years and have been hesitating but this technique of adding pencils over a solid base looks very approachable. Thanks for sharing. I love the colors and layout of the first card, but they’re all beautiful.. Thanks for the inspiration! Gorgeous cards! That bird is so precious! My favourite stamp set in this release. Oh Therese, your cards always make me smile. That bird card is so sweet and well designed. Thank you for sharing these. Thank you so much for the video showing the coloring process using With Sympathy. I have not seen this done before and will have to give it a try for sure! Thanks for sharing your cards with us. Such an awesome trio of cards! My favorite is the second one! I love the crisp black & white triangles as the background for the lovely flowers! TFS! Beautiful card! Your video has inspired me to get my pencils out and try that technique. Fantastic cards! Such wonderful designs! Love these new triangles. They are so perfect for backgrounds or even the main focus of a card. Fabulous idea! Hi Therese. Love all your cards, but particularly loved the tiny stamp set. That flower is delicious. Loved what you did with all the new releases and thanks as always for sharing with us. From proud Aussie Bev. (so good to see your beautiful creations). I’m an idiot. I forgot to tell you that I am so impressed with your colouring of the stamp! What a difference it makes – it’s amazing. Did you know that the little video of the release of that with sympathy stamp set features YOUR card? How great is that? Congratulations. Sorry I forgot to say all that before. Love your card using the triangles!! A little bit of everything! Soft and bold, shaded and solid – so many delightful cards!!! Thanks so much for sharing! Pretty flower geometric card.. love the combination.. The bird set is just stunning! Your cards are always amazing. This another great collection. Absolutely Love this mini flower set and the use of prisma colour pencils with the solid stamped background. You always fund interesting ways to extend our use of products which we may not have used for sometime. Thanks for the inspiration. Love the background on the bird card! I think the Bird’s of a feather layering bird is so lovely! Ok so I just saw your card you made with the pretty flowers and it’s lovely! Love your beautiful cards! Thanks for sharing! I’m loving the ink blending in that first card with the bird! Awesome color combination. These are beautiful! Love your use of the bird image, stunning! Love, love, love your cards! Beautiful! VERY BEAUTIFUL COLORING! I love, love, love your cards. Today is the first time I’ve seen your videos and I’m loving them! You have such an enjoyable style and love the way you laugh while your creating! Thanks for sharing! Beautiful cards. Love each and every one of them. Great use of textures. Thank you for the awesome colored pencils video, too! Love the colors for the background of that bird!! Beautiful cards!! Beautiful cards, Therese! I love the new Altenew stamp & die sets. Your colors pop. I just love the Birds of a Feather stamp set. Thanks for sharing! Beautiful creations with this new release – the inspiration is marvelous! I love the background on your bird stamp. Your cards are very pretty. Your cards are amazing. Love all your fabulous designs and beautiful colors. Get video too. oops, that’s Great video too! Stunning cards! Awesome layouts and colours!! Your bird card is so pretty! I love the background for him. He’s looking good in front of it. Great job! I love the sympathy card. It is so pretty. I havn’t used my colored pencils much. I need a good sharpener so I can get my colored pencils out. love your cards, what is the name of the pencil sharpener you are using? Hi Pam, it’s the TGAAL sharpener and is quite inexpensive (compared to some). Here is where I bought it in Australia, https://www.mangaarts.com.au/home/index.php?main_page=product_info&products_id=249 Hope this is helpful, thanks so much for your lovely comments and for taking the time to visit. Hugs, Therese ps I did have some success with the Prismacolor sharpeners for a while but they tended to go blunt very quickly.